I love this quote and have found it to be a big part of my design philosophy. Our homes are an extension of ourselves and should be filled with the things we truly love. 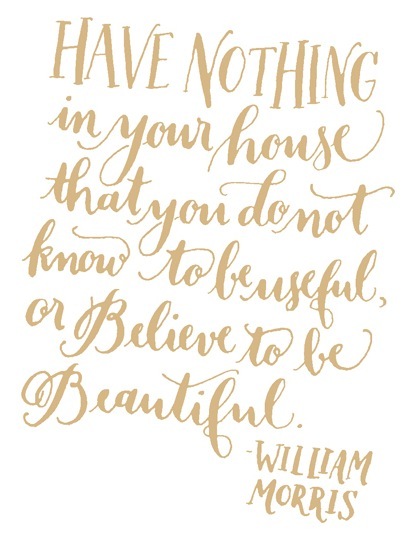 A home filled with items that speak to you will always be meaningful and beautiful.